America's favorite fat cat is back, and this time, he's giving England the royal treatment! 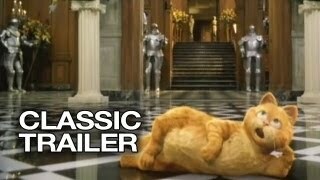 It's a British invasion of a different kind when Garfield (Bill Murray), along with pals Jon and Odie, travels to London and meets his mirror-image in Prince, an aristocratic kitty who has inherited a fabulous castle. The two trade places, and soon Garfield is living large as only he can! There's just one problem, the dastardly Lord Dargis wants him out of the picture. A Tail of Two Kitties is twice the laughs and double the fun for the whole family... It's good to be the king!